Moderated by: Troy Pinkney-Ragsdale, MA, CCLS, has over 25 years of experience in the field of Child Life, including directing several child life programs in the tri-state area. She has served as the director of the Child Life Masters Program at Bank Street College since 2004. She has been a member of the Association of Child Life Professionals, served as the Co-chair of Graduate Accreditation Task Force and member(2012-2014), served as Director on the Board (2015-2017) and has been a member of the Education and Training Committee for many years. Lawrence C. Rubin, PhD, the editor of the Handbook of Medical Play Therapy and Child Life, is a professor of counselor education at St. Thomas University in Miami, Florida, and an online lecturer at the University of Massachusetts. Dr. Rubin is a practicing psychologist in Fort Lauderdale, where he specializes with children, teens, and their families. Jon Luongo, MS, CCLS, is a Bank Street graduate, past adjunct instructor, a delegate with 1199 Healthcare Workers’ Union, and a child life specialist at Maimonides Medical Center in Brooklyn, NY. He began his career in healthcare as a performer in the Big Apple Circus Clown Care Unit in 1997. Suzanna Paisley, MS, CCLS, is a Bank Street graduate, a parent of two young children, and a child life specialist at Children’s Hospital Colorado. She has lectured on trauma processing with children of all ages at national child life conferences. Deborah Vilas, MS, CCLS, LMSW, is a Bank Street graduate, a current faculty member, a writer and a public speaker. She has taught play techniques to child life students, hospital play specialists, nursing students, social workers and psychologists in 6 countries around the world. Patty Weiner, MS, is a mother and grandmother whose career spans over 35 years as a child life specialist and educator. She is the founding director of Bank Street’s Child Life Program and is an educational consultant for The Making Headway Foundation in NYC. Copyright © 2018 Bank Street College of Education, All rights reserved. Whether or not you are a Christian, the month of December descends upon many of us all with an overload of stress: pressing consumerism, forced merriness, and social and family expectations that can make us feel less than and despairing in so many ways. We can lose sight of the sense of hope that the season is meant to embody, the acceptance of darkness before the dawn, the preparing and waiting for the light, the igniting of that light within ourselves and others, all in the maelstrom of media messages. Well, today, I am thankful for this calendar that I found on social media, and I want to share it with all of you, I see it as a template. It might be a wonderful activity for you to do alone, with children, or with family members. If you make your own kindness calendar, you can add to it acts of kindness that hold specific meaning for you and are within your reach to accomplish. You can place a piece of oaktag or cardboard over it and cut out little doors and windows to open each day. Just contemplating this activity makes me think of kindnesses I have witnessed in the recent and not so recent past. A fellow teacher had a particularly bad day when a troubled student lost control, trashed the classroom and scratched the teacher’s face. My assistant teacher, Elizabeth, entered her colleague’s classroom during her lunch break to find her fellow teacher crying. Elizabeth quietly went about the room, righting chairs, picking up toys, and straightening up the chaos. Then she went to the nearby market and brought back some chocolate. These gestures spoke so much louder than words of consolation might have. At a family gathering in the basement of a local Baptist church, where parents and children worked on arts and crafts, a family struggled with finding positive ways to respond to their preschooler. I watched as each parental admonition ratcheted up the child’s resistance and anger. For a few moments, my friend, Edna, joined the child in play, and gave him some gentle, corralling, positive feedback, helping him to self regulate and giving the parents a break. On the city bus, a loud and hostile argument broke out between two passengers, fueled by both, but with one person definitely being more aggressive. As his voice grew louder and louder, an elderly lady finally stood up, and approached the yeller. “You need to stop,” she said. “It’s not okay to use that kind of language.” Once she spoke up, others did as well, and the situation calmed down. A nurse responds to my tears of fear facing chemotherapy by putting down her medical implements, drawing her chair up to mine, taking my hands in hers and telling me that God will help me bear whatever I must face. A yoga teacher guided our class in breathing with intention and awareness yesterday. He said that when we breathe for ourselves, we are breathing for all of our loved ones, and for all humanity. When we feel so overwhelmed that even breathing feels like a colossal task, it does help to know that it is enough, and that breathing can be more than a self sustaining act. Breathing can sustain others. So whether your acts of kindnesses are as simple as breathing, or a single word, a glance, a gesture, it is all within your grasp to ignite the light of loving kindness in yourself and others, one act and one day at a time. My recent visit to the Czech Republic, sponsored by the Klicek Foundation, included a return to the Mendelova Nursing School in Novy Jicin. This time, Maria Fernanda Busqueta Mendoza joined us from Mexico, and 50 students participated in our seminar, making it a great opportunity for global learning and a multicultural exchange of ideas. As you can see from the first photograph, the students were a lively bunch, and they eagerly participated in the highly interactive time we spent together. Jiri Kralovec served as our interpreter and his son, Jiri, touted by Foto Video Magazine as this year’s hottest photographer on Instagram, documented our learning. Most of the photos below are his work. Jiri and his wife, Marketa, started us off by sharing information about the importance of play for hospitalized children and the history of their efforts to bring hospital play to the Czech Republic. It has been a slow, uphill battle to change the hierarchal and disempowering bureaucracy of their medical system. I followed with an introduction to the field of Child Life, the role of child life specialists in hospitals, and the possibilities for collaboration with nurses. I spoke about the role of play and community in the healing process, before moving on to some illustrative activities. Sharing our own memories of play is one way to deepen our appreciation for the role of play in our lives and in the lives of children. I asked the class to think about their own childhood memories, using their five senses — what do they remember about their play environment? Did play occur inside or outdoors, or both? Were they playing alone, or with others? Did they play with toys, loose parts, or their imaginations? Are there sounds, smells, tastes or textures associated with their memories? What feelings are evoked in sharing them? The students paired up and took turns both sharing and listening to one another. Armed wth a deeper awareness of the value of play, the students were now ready to learn a bit about how to make procedures less frightening for children. I have always wanted to use role play as a way to demonstrate all the things that can go wrong during a procedure, and how minor changes can make things easier for medical staff, children, and caregivers. I took this opportunity and asked for volunteers. One young man played the patient. We instructed him to lie down and asked three others to pin him down to the table, much like medical personnel are likely to do when a child receives an IV. We demonstrated how the very act of being forced into a prone position increases one’s sense of vulnerability and loss of control. Add to that several adults talking at once, loudly over any protests you might make, telling you to stay still, not to cry, to be a big boy, not to look…. and you get the picture. Chaos, stress and shame accumulate to make for a disastrous experience for all. But there are some simple things that nurses can do, either alone or in partnership with play specialists, to change the outcomes of such procedures. It doesn’t mean that the child won’t cry, but it is more likely that the child won’t suffer emotional trauma, will return to baseline quicker, and the nurses can feel more successful and less like they are causing the child undue suffering. With these tips in mind, the students enacted a better case scenario, where the parent has a supportive role in positioning the child for comfort. The child is upright and held in a calming hug, rather than being restrained on the table. The child is given some choices, such as which hand to try first for the IV (the non dominant hand is preferable), and whether to watch the procedure or use a toy or book for distraction. are all ways to provide psychosocial support, making the experience less traumatizing and painful for the child. Accumulated painful and traumatic medical experiences can make children phobic and avoidant of medical care. We also spoke about non-pharmacological pain prevention and reduction. The interactive component of our lecture surely made our important information memorable. The action and laughter surely made more of an impression than a power point! We all reflected together about how even adult patients can benefit from choices, information and empathy. Back to the topic of play, we explored ways for the nurses to instill playful interactions into their communication with pediatric patients. Rapport building and distraction through the use of hand games is one way that they can put a child at ease. I demonstrated several hand games, and asked them to show me some of theirs as well. Our time with these wonderful students ended all too soon. We posed outside of the school for a photo with some of the Klicek Foundation hospital play specialists before heading to the historic square down the street. Around every corner of this country is a beautiful scene, no matter where you are! I was honored and so excited to be interviewed by Photographer & Guest Writer, Marj Kleinman for her article at TocaBoca.com. She and I have much in common, including a deep passion for child life and play in hospitals, and the fact that we are both alums from Saint Ann’s School in Brooklyn, NY. She is a talented artist and used her creativity to write a photo journal of child life and play at Maimonides Hospital. I will publish that here next week. The Toca Boca article is reprinted here in full below. Child life specialists support kids and families in a hospital environment, reducing stress and increasing joy. When I tell someone that I volunteer in pediatric hospitals, I usually spot a sad face across from me. That response is understandable, given that hospitals can be scary and sometimes painful and upsetting. But in fact, there’s no greater place to see joy and resilience on display, all through kids’ natural passion for play. Whether at their doctor’s office or in the ER, kids find a way to play, particularly with encouragement. Most children’s hospitals today come equipped with a playroom and a bevy of materials and activities, so kids can be kids while hospitalized. Once they see a playroom full of toys, messy finger paints and a silly guy blowing bubbles, they know this place is made for them and they will probably feel safe there. There’s even a team of people whose job is to play with your child: the child life specialists. They become parents’ partners in health and healing. Many parents are surprised to learn that there’s a person solely focused on your child’s emotional health during a hospital stay — and they do it mainly through play. Child life specialists (CLSs) help kids and families adapt to the hospital environment and support them in understanding what’s taking place, thereby reducing the stress of a hospitalization. CLSs are trained in child development and play theory, as well anatomy, research methodology, sociocultural issues, ethics, family systems and bereavement, among other things. They also act as a bridge and advocate with your medical team. Child life departments often include art and music therapists, and are visited by yoga and mindfulness teachers, clowns and other practitioners. Play is the universal language of childhood — in fact, when CLSs assess their patients, they’re watching how kids communicate via play. I spoke to Deborah B. Vilas, a CLS and social worker who teaches child life graduate students at Bank Street College of Education. Vilas says, “Young children won’t sit down and say, ‘I felt sad today and I think I’m anxious about the medical treatment I’m getting.’ When children are playing, they act out scenarios and show us what they’re feeling; they show us what they understand, what they’re capable of and what their coping mechanisms are.” This may seem obvious, but in some hospitals, there’s a misconception that play is frivolous or low on the priority totem pole. According to the American Academy of Pediatrics (AAP), “Play is essential to development because it contributes to the cognitive, physical, social, and emotional well-being of children and youth. Play also offers an ideal opportunity for parents to engage fully with their children.” Why would all that stop at the hospital? The AAP goes on to state that hospital play is a necessity that helps kids cope with treatment and stay on track, developmentally. The uses and benefits of play in medical settings are varied and significant. At its essence, play provides a safe space for kids to experiment with unfamiliar and often scary experiences. Through open-ended play, kids can take in new information at their own pace, re-create situations and play out fears until they are familiar enough to gain a sense of mastery over the situation. When supported by an empathetic parent or CLS, this process is deepened and they can better process and release feelings. At its essence, play provides a safe space for kids to experiment with unfamiliar and often scary experiences. Open-ended and child-centered play, in particular, are highly beneficial, as they provide opportunities for kids to immerse themselves more deeply in play and lead from a sense of agency. Unfortunately, free play has been on the decline due to our hurried and jam-packed, overscheduled and tech-filled lifestyles, yet it is necessary for skill development, self-regulation, independent thinking and creative problem solving. In the hospital, where kids lack choices, it’s even more crucial to let kids be in charge. One of the roles of the CLS is to normalize the hospital experience through play. They might do familiarization activities, for example, building a robot using a bedpan, tongue depressors and IV tubing, all taped together with bandages. Suddenly medical supplies aren’t scary, cold, weird objects that only doctors and nurses use, and kids can “hack” the hospital. Going a step further, medical play with a toy doctor’s kit and/or real medical supplies can 1.) educate children about an upcoming procedure, 2.) let them process their experience, before, during or after a procedure, and 3.) put the child back in the driver’s seat. Meghan Amorosa, CLS, engages Jan, age 4, in medical play at Brooklyn Hospital Center, Brooklyn, N.Y. Photo by Marj Kleinman. Children experience a strong sense of helplessness, vulnerability and anxiety when faced with uncertainty and misconceptions (let’s face it, so do grownups). Procedural support helps educate, greatly reducing feelings of unpredictability, and increases a level of mastery. Meghan Amorosa, child life specialist at Brooklyn Hospital Center in Brooklyn, N.Y., says, “A really big part of medical play is about giving patients choice and control over their own hospital experience. Instead of being the patient, they become the doctor and play on their own little patient.” She observed that Jan (pictured above) gave the doll a lot of shots, which is typical in patients who’ve been poked a lot. In fact, “If a kid gives a doll a million shots, they’re showing you how painful that was for him,” says Vilas. A really big part of medical play is about giving patients choice and control over their own hospital experience. Movement also plays a key role in healing, which is why doctors want patients up and walking almost right after surgery. If kids can get out of bed and step on bubble wrap or a floor piano, ride a hospital wagon around the unit, or skate down the hallway on their IV pole, they get the blood circulating, feel more energized and also empowered at the same time. Play is powerful and can be tailored towards your child’s individual age, temperament and tastes. Read on to find out 10 ways to support kids going to the hospital, as patients or visitors. Marj Kleinman is a Brooklyn based photographer and children’s media producer with a master’s in educational psychology. Interview with guest Tom Bannon, Vice President, AFTER-MOUSE.COM on PLAY for Good, an initiative of AFTER-MOUSE.COM Twitter: @AFTER_MOUSE. I “met” Tom through an email when he read this blog and reached out to me. I think that his products are a great match for Child Life in Hospitals, so I offered to spotlight him on this blog. So, Heeeeeeeeeere’s Tom! I have been working in the technology and software licensing space for over 20 years. My career is about helping partners and customers make technology work for their business and their customers. Through my work, I have seen how technology can be transformative – making an experience more enjoyable for or helping connect people when communication barriers seemed impenetrable, among so many other benefits. I believe in my work, because I believe there is a lot of positive potential when technology is used for good. What is AFTER-MOUSE.COM? How did you get involved with them? AFTER-MOUSE.COM is a fast-growing industry leader in multi-touch technology applications. I joined five years ago to lead the U.S. sales team and be a part of business at the cutting-edge of multi-user collaborative technology. How did you get involved with Hospitals? AFTER-MOUSE.COM has worked with hospitals and medical centers for more than 5 years. We have PLAY touch-tables in pediatric departments, waiting rooms and child life centers throughout the U.S. This is an important partnership for us as we work to promote the empowering and healing benefits of collaborative, playful learning. Sometimes a hospital can be a scary and uncomfortable place for a child. Promoting collaborative, playful learning in these environments can provide positive emotional experiences and healing to help children cope. What are the benefits in your eyes of these interactive games? Any downsides? The positive benefits of technology-based collaborative play inspired us to launch PLAY for Good, an AFTER-MOUSE.COM initiative working with partners to place multi-player touch-tables in nonprofit children’s hospitals and youth centers. The PLAY for Good team helps connect funders and donors with nonprofit hospitals and children’s health organizations that can use PLAY tables to promote collaborative play through our educational, multi-player children’s games. Today, 91% of children between the ages of 2 and 17 play technology-based games. Despite the rapid uptake of technology, there is still little guidance on how to effectively harness technology as a tool for improving learning through play. Most guidance for children’s interaction with technology is based on “screen time,” the amount of time a child should spend looking at a digital screen. However, technology has progressed beyond the linear, sedentary relationship between child and screen, frequently thought of as watching television. Technology-based play is not restricted to single user, sedentary experiences; rather technology can facilitate highly interactive and collaborative play activities that enable peer-to-peer learning. Unlike adult-child interactions, peer-to-peer learning allows for a balanced power dynamic which helps children refine planning, negotiation, and cooperation skills. In a hospital environment, technology-based games can help a child cope with a stressful or uncomfortable situation. Children grappling with chemotherapy-related nausea or preoperative anxiety, for example, have had success playing technology-based games to help with emotional management. What are your hopes for this product? Our PLAY touch-table and children’s game bundle can provide entertainment to children in waiting rooms and lobbies – but they can also promote cognitive development, improves quality of life and can help a child manage emotional stress, when used appropriately. In a world where technology is increasingly integrated into the way we live, we want to help promote the positive benefits it can yield. Interactive, technology-based collaborative, playful learning has changed the nature of children’s relationship with a device. When used appropriately, interactive technology can provide positive elements to children’s play and learning by facilitating exploration and experimentation in a dynamic digital multi-player experience. 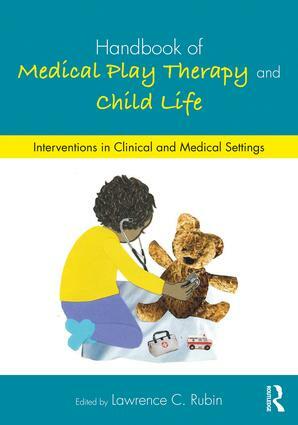 What would you like Child Life Specialists to know about Play touch-tables? We want to work together. While the body of research on the impact of technology-based play on child development is still in early stages, there is research confirming that, when used appropriately, interactive technology can be a valuable tool in promoting playful learning. PLAY touch-tables, when added to existing Child Life programs, have enhance a child’s experience in the hospital. Our PLAY for Good team understands the resources constraints of nonprofit organizations, so they can help identify funding opportunities with your development team and provide guidance on how the PLAY touch-table can be leveraged to support on-going fundraising goals through sponsorship programs. Tell us a bit about your international work. We have worked with many companies around the world through our offices and partners in the US, Europe, Dubai and many other regions as well. We have now delivered projects in over 40 countries. We continue to expand into new markets with our products. Colleague and friend, Teresa Schoell, is a child life specialist in upstate New York. She is featured in “That’s Child Life!” , a video published by the Child Life Council. She is also, first and foremost, a mother to Malcolm. She posted this story on FaceBook today, and with her permission (and Malcolm’s), I wanted to share it with all of you. I just finished performing surgery on one of Malcolm’s beloved stuffies (a gift from the dear Justinn Walker). Apparently, JC the Lobster was quite anxious about the procedure, hiding in Malcolm’s arms while I threaded my needle. “I’m scared it’s going to hurt,” came JC’s voice (with a marked similarity to Malcolm’s falsetto). A few hugs and and some invisible anesthesia later, the lobster was open on my table (prepped and draped in the usual sterile fashion….which is to say, laying on a couch cushion on my lap) Today’s procedure was to repair the distal fracture to the bendy wire in the patient’s left antenna, which supports movement and pose-ability. Under general anesthesia I opened and peeled back the fabric, revealing the damaged wire. The sharp wire bits were realigned and repaired use med-surg duct tape, reinserted into the fabric, and sealed with a running subcuticular suture (sewed on the inside for a near-invisible scar). Procedure complete in 15 minutes with minimal stuffing loss. Patient resting comfortably. I commend how Teresa invested in Malcolm’s powers of imagination and attachment by treating JC the Lobster with the respect one would give a live patient. When parents take their child’s attachments and emotional needs seriously, they model empathy, the glue that holds our society together.